As reported earlier this month, a new credit scoring model will potentially improve scores for many credit applicants and help establish credit for millions of people who previously had little or no credit history. 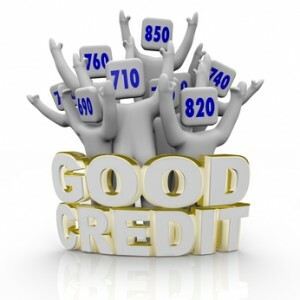 The newly revamped credit scoring model will be used in the most recent edition of the VantageScore, the credit score formed by the big three major credit reporting agencies, Experian, Equifax and TransUnion. In its current credit scoring formula model, debts that have been submitted to collections, even if they were paid off, are calculated into one or all three credit scores for up to seven years. However, the good news for credit challenged consumers, the new scoring system VantageScore, will no longer be factored into a consumer’s credit score, as long as the debt is paid in full or settled, showing a zero balance. In addition to credit challenged consumers, natural disaster victims will now be able to benefit from good credit management. They will continue to be protected against negative accounts, despite the hardship. Formerly, derogatory and positive accounts were disregarded in the after effects of natural disasters, making it complicated for victims to improve their overall credit scores. As mentioned above consumers who have paid off their collections accounts to a zero balance and have no other negative reporting on their credit profiles should see their VantageScore’s enhance considerably. However, the increase only factors in, if the lender uses the new VantageScore. Despite the fact that FICO is still the most widely used scoring model, the VantageScore is gaining momentum. It’s currently used by seven of the top ten financial institutions, six of the top ten credit card issuers and four of the leading auto lenders and mortgage lenders, according to its website. VantageScore’s new model will also weigh rent and utility payment records, and public records like bankruptcies for people with very limited credit histories. This will allow it to score as many as 30 million people who previously couldn’t get a credit score, and potentially help them qualify for more competitive credit rates. FICO announced Monday that it will begin looking into ways of factoring in alternative records to calculate scores for those without or with limited credit files. Meanwhile, VantageScore is changing its scoring range to align with FICO’s 300 to 850 range. Earlier versions range from 501 to 990, often causing confusion for consumers and lenders since most are more familiar with FICO’s range.